The Blue Collar Foodie’s School of Endless Shrimp! Sometimes foodies, out of habit, seem to be somewhat pretentious and give off a like hipster vibe. It is this ostentatious elitism that rubs me the wrong way and basically caused me to create this blog for the everyday foodie that welcomes noteworthy food no matter where it comes from. With that said, this week I am reviewing a chain restaurant that rarely is uttered in the foodie realm without contempt. This chain is none other than Red Lobster. Red Lobster is usually synonymous with sub-par seafood and over salted steaks like most large chain restaurants in America. 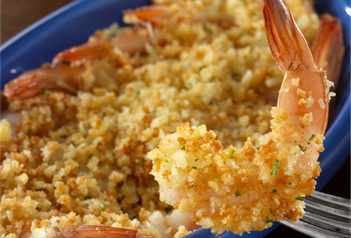 But once a year, Red Lobster offers a promotion that no Blue Collar Foodie should miss, and that time is now. 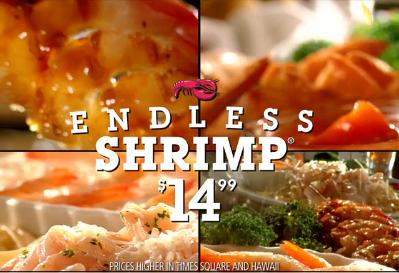 Endless Shrimp has returned to Red Lobster and every single server in the employ of this eatery collectively has begun to weep in unison. Other than the servers, who honestly loathe this time of year, everyone else should be rejoicing that Red Lobster is still offering this amazing deal. 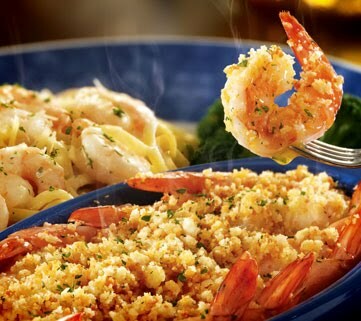 For $14.99, you can shovel unlimited quantities of Teryaki Grilled Shrimp, Parmesan Shrimp, Garlic Shrimp Scampi, Shrimp Linguine Alfredo, and Hand-breaded Shrimp, a salad, a potato, and unlimited Cheddar Bay Biscuits. After nearly a decade of attending this event, the economics of this deal still baffle me, but I am not complaining and neither should you. Some of you are sitting in your ergonomic office chairs adjusting your horned rimmed glasses, preparing to write me angry hate mail about the quality of the shrimp, or the fact that the parmesan cheese is not organic, and you are entitled to your own opinion but dude seriously this is ALL YOU CAN EAT SHRIMP we are talking about. This event is not about the tantalizing Amouz-bouche or the tastefully created radish flower, this experience is all about strapping on a feed bag and attempting to devour literally an entire school of shrimp in one sitting. Don’t get me wrong, I am all for a classy black tie restaurant as you should all know if you read my blog each week, but there are sometimes that the Blue Collar in me, ties up the foodie, 50 shades of grey style, and drives me straight to yummy town. The shrimp that Red Lobster offers during this event is not Sushi Grade by any means, but I love shrimp like fat guys like cake, so when I am offered an endless supply, I tend to get a little excited. Before we discuss the individual types of shrimp that Red Lobster is offering this year, I think we must first discuss a good strategy for optimizing your shrimp intake. First off, soda fills you up as does beer and wine, so I always order water with lemon as my drink selection for the evening. 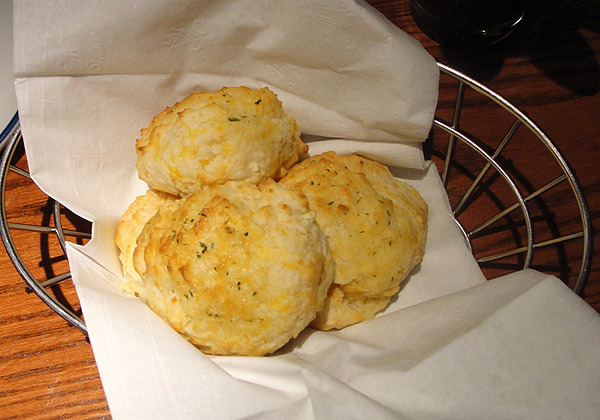 Next we must discuss the Cheddar Bay Biscuits. These miniature scrumptious morsels of sheer fatty goodness tend to be irresistible but very filling, so I try to only eat one with my salad to save room for the main course, and the reason we have decided to enter the threshold of Red Lobster to begin with. As for the main course, I shy away from ordering a potato with my meal, because starches fill me up eight times more than any other side dish in this world, so I usually pair my shrimp with whatever vegetable they are offering. 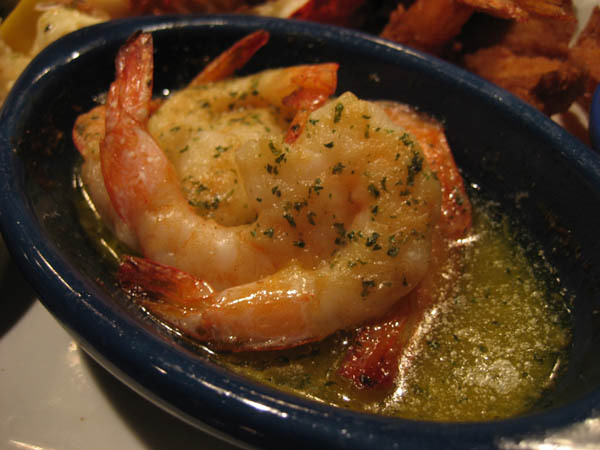 Now that the side dishes have been discussed there is also a strategy when choosing your shrimp plates as well. 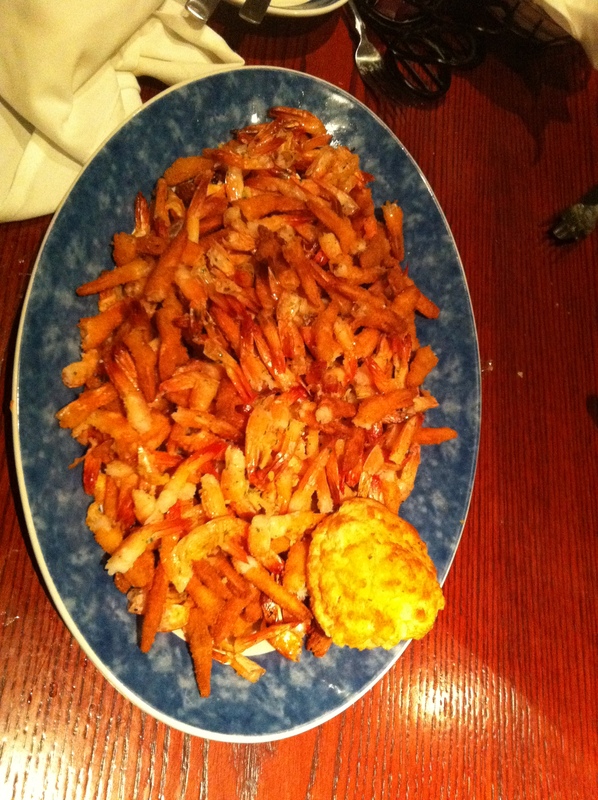 Two of the selections on the Endless Shrimp Menu seem to have been placed there with the purpose of filling you up quickly, so you reach your limit rapidly and thus saving Red Lobster some money. The Teryaki Grilled Shrimp, although very tasty, comes with a side of rice, and the Shrimp Linguine Alfredo, are chock full of stomach filling belt loosening carbohydrates that will stop you in your tracks immediately and cause your endless shrimp adventure to come to an early end. I am not saying don’t try these tasty dishes, all I am saying is save them for last. Stick with the two scampi selections and the fried shrimp at first to maximize your shrimp eating ability. 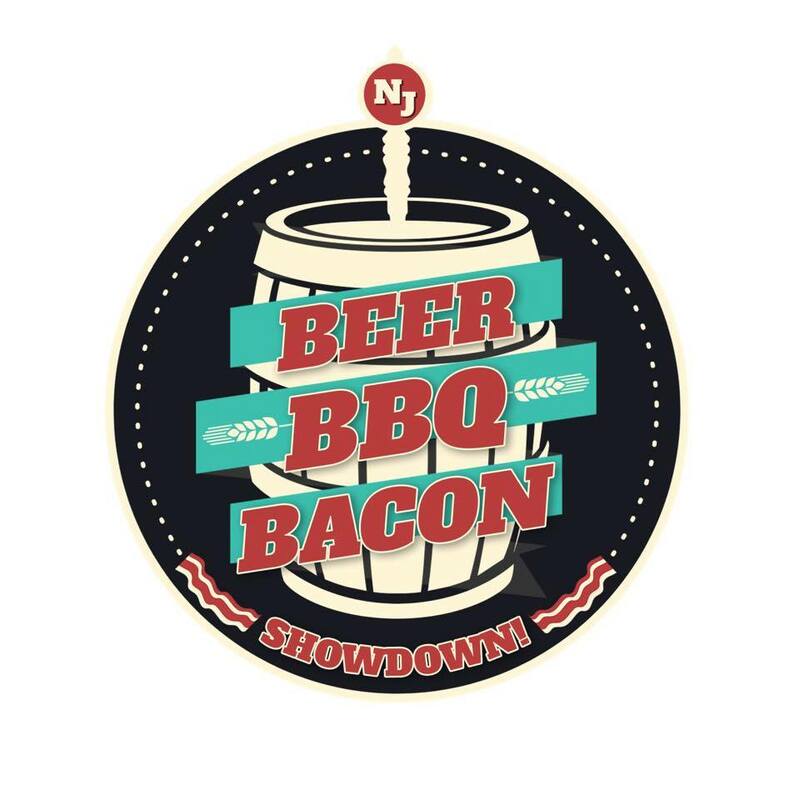 In order to make this event even more enjoyable, I usually hook up with a few of my foodie friends that enjoy a good feeding frenzy and venture to Red Lobster to participate in a gluttonous eating competition that would make vegetarian’s far and wide weep for the entire crustacean community. During one of these competitions, which get pretty heated, my record is 155 shrimp in one sitting. I am both proud of this record and slightly disgusted with myself when I think of it. The main thing to remember about this hedonistic affair is that sometimes, even a foodie has to recognize a great deal when he/she sees one and join us common folk at the Red Lobster and dive into some shrimp. You can even request a plastic food bib if you don’t want to ruin your tweed jacket. See you all there!